Wholesale ordering is available for customers who don't currently order from UNFI, KeHE/Tree Of Life, Nature's Best, Haddon House, Nassau Candy, Carmela Foods, and Unified Grocers. Orders are shipped FREE - FedEx Ground (within 48 hours of receiving). Herbal Water - Still: Orders include 12, 16oz bottles per case. No mixed cases. First order minimum of 6 cases, subsequent order minimum of 4 cases. 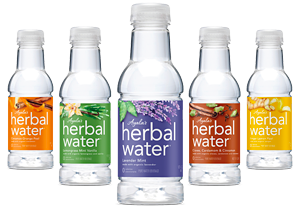 Herbal Water - Sparkling (25.4oz): Orders include 12, 25.4oz bottles per case. Single flavor or mixed cases available. Order minimum of 3 cases. Herbal Water - Sparkling (12oz): Orders include 12, 12oz bottles per case. No mixed cases. First order minimum of 6 cases, subsequent order minimum of 4 cases. Upon review, you will receive an e-mail with further information. If so, please list them. *What products are you interested in carrying?